When it comes to cooking, it’s the subtle herbs and ingredients that can make a boring dish into something spectacular. Show your love for all your college kitchen necessities with some funky and quirky college kitchen decor accessories! Two essential cooking herbs are salt and pepper. Salt and pepper can make bland food taste amazing, so shouldn’t your dorm salt and pepper shakers have some zest too? 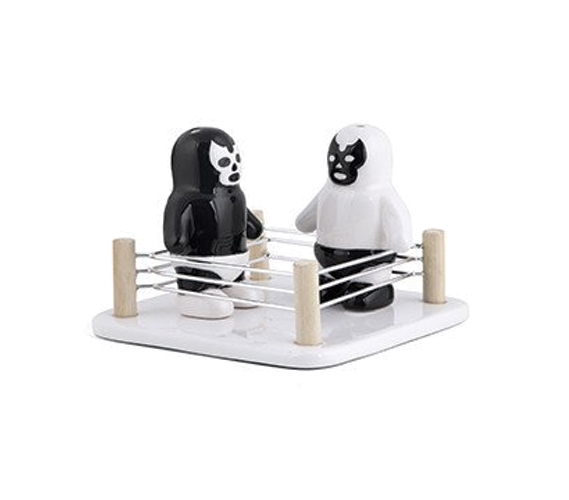 Our Luchador Salt and Pepper Shakers spice up your dorm kitchen decor in the best way possible. Like any good wrestling rivalry, our salt and pepper shakers give you the best kind of ‘rough and tumble’ spice to your dorm or apartment kitchen decor. 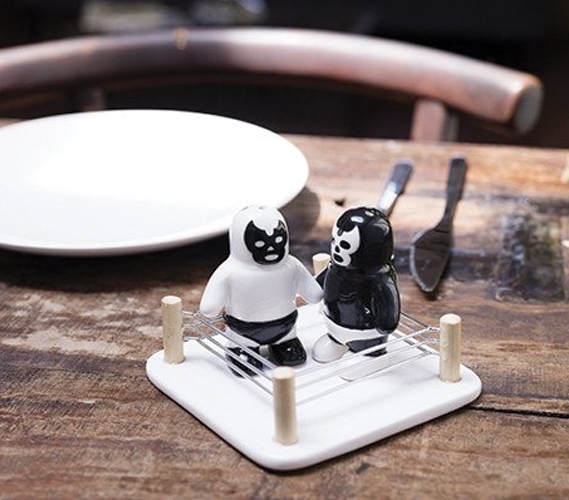 A wrestling ring keeps your dorm salt and pepper luchadores ready to rumble when not in use. It’s also perfect for entertaining your dorm guests before the meal is ready! Perfect for showing off your heritage, your quirky sense of humor, or just being an all around awesome dorm gift or kitchen decor -- your new, very aggressive, very novel dorm salt and peppers are ready to bring the heat (so to speak) to all of your college meals.